US President Donald J. Trump’s late October announcement that Washington intends to withdraw from the Intermediate-Range Nuclear Forces Treaty (INF) with Russia, coupled with his personal distaste for arms control treaties and multilateral agreements, his interest in massive arms sales (especially to the autocratic Middle Eastern monarchies) and his perceived efforts to undermine NATO and the European Union (EU), have deepened the rift between Washington and Brussels and have prompted Europe to take steps toward the creation of a joint European army. The EU feels that the transatlantic alliance between Europe and America, and especially its military wing, the North Atlantic Treaty Organization (NATO) is not as strong under the current US president and that Trump’s INF exit may unleash another Cold War-era arms race with Russia. Therefore, the INF exit and Moscow’s likely military escalation have increased the need for the EU to create a joint European military. Donald Trump styles himself a dealmaker. He has even bragged and written about it in his book, The Art of the Deal. However, in his capacity as the United States’ President, Mr. Trump has so far not struck many deals on the international stage… besides a comfortable multibillion-dollar arms deal with Saudi Arabia. Instead, he has broken the existing deals, not to mention that there is an exhaustive list of treaties, agreements and pacts that his administration either hasn’t enforced, has voided or has withdrawn from, including: Trans-Pacific Partnership (TPP), the Paris agreement on climate change, the North American Free Trade Agreement (NAFTA), the Iran nuclear deal (JCOPOA), the United Nations’ cultural agency (UNESCO), and the United Nations Human Rights Council. Undoubtedly, President Trump’s unilateral actions and his policy of disregarding international agreements, mutual and multilateral pacts, and exiting treaties including his latest move to exit INF – a 30-year-old arms-control accord, signed in 1987 between Ronald Reagan and Mikhail Gorbachev – has intensified the environment of distrust between US and its friends and foes, including Europe and Russia. The INF exit and Russian and Chinese challenges are important factors in moving toward creating a joint army, however, even before the INF withdrawal, many European leaders including France’s Macron and Germany’s Merkel had underscored the need to create a joint European army. 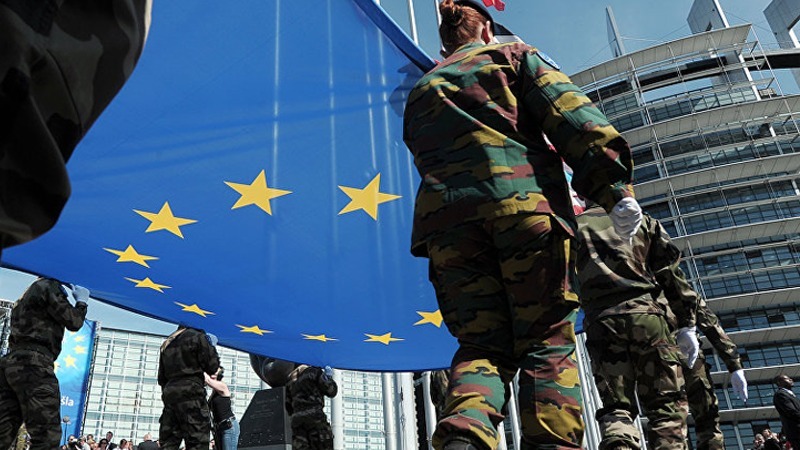 European Commission President Jean-Claude Juncker had announced plans to create a “fully fledged European Defense Union” by 2025, emphasizing that EU nations must increase their military cooperation as they cannot simply rely on the US to defend them. Russian President Vladimir Putin last October said that Russia would target any European countries that agreed to host US nuclear missiles following Washington’s withdrawal from the INF. Now, Europe is increasingly convinced that with the INF exit, the United States is calling for a new arms race, which would prompt Moscow to once again deploy its intermediate-range missiles at Europe’s borders, a move that would further encourage Europe to create its own joint army, irrespective of NATO or any other US-led collective defense system. So far, certain steps have been taken toward the creation of a European army and the EU has been working on a plan called the “permanent structured military cooperation” (PESCO) to increase its joint capabilities. Under PESCO, each member state is committed to providing a plan for national financial contribution and the INF exit is expected to expedite PESCO and other EU initiatives in achieving a joint European army, with Germany and France leading the effort. In late November, French President Emmanuel Macron cautioned that Europeans cannot be protected without a “true, European army”, adding: “We have to protect ourselves with respect to China, Russia and even the United States of America”. Germany shares the same views, and Chancellor Angela Merkel has said that Europe can no longer rely on allies following the election of President Trump and Brexit, and that Europeans have to take their destiny in their own hands. Other European leaders have made similar statements. Nevertheless, Europe has a long way to go to realize this goal, and with the Brexit on its way, the EU is going to lose one its strongest military powers, the UK, which will weaken Europe’s dream of a robust joint military. Other roadblocks such as lack of political will and an absence of economic commitment to allocating sufficient resources may hinder the European military initiative. There are also many unanswered questions on how a European army can stand up against Russia alone and face future threats from China without the US support which make the creation of an EU army in near future difficult, if not entirely impossible. 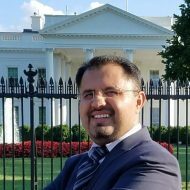 Next Next post: به همراه دیگر مهمانان تلویزیون کلمه، تهدید مجدد روحانی مبنی بر بستن تنگه هرمز را مورد بررسی قرار دادیم.